Was delisted before being picked up in the rookie draft. Morabito has been the picture of determination as he builds momentum toward continuing his AFL career after a series of injuries. His defensive capabilities have been a real bright spot this pre-season and he’s continually working on improving his game. Injury continued to hamper the progress of Morabito's career. The 24-year-old was delisted at the end of 2015, with the club re-drafting him as a rookie for 2016. The 2014 season brought Anthony Morabito reward for his incredible perseverance and dedication to fight back from three major knee injuries. He played three games, and despite a minor knee injury at season’s end, will look forward to more game time in 2015. 2013 was about consolidation for Morabito, coming off his third knee surgery. He chose to undergo a hybrid LARS procedure in the hope of reviving his AFL career. The club chose to keep him off the playing field in the hope he’ll hit the 2014 pre-season at top pace. After all the hard work and perseverance to return to the WAFL from his first knee reconstruction, Anthony Morabito was devastated to re-injure his ACL again as he seemed set to return to AFL ranks. 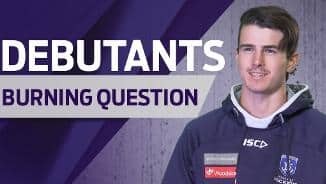 He’ll have to do it all again if he wants to play any part in Freo’s 2013 campaign, and even then, it won’t be until well into the season given the timeframe of a return from a knee reconstruction. The club is keeping the faith in the number four selection from the 2009 Draft, who is tall, fast, strong and skilful. 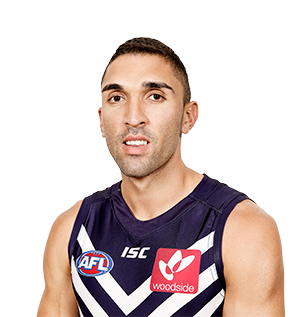 Freo’s top pick from the 2009 AFL Draft (No.4) sustained a knee injury during the pre-season and missed the entire 2011 season. After showing promising signs towards the end of the 2010 season, Morabito looked set to take the next step this year. His rehabilitation has been rolling along nicely and he will be a welcomed addition to Fremantle’s midfield in 2012. The 191cm Morabito is an incredible athlete who creates a match-up headache for opposition coaches with his great speed and strength. Morabito had an excellent debut season in 2010, playing 23 games mainly on a wing. He showed great pace, strength and poise at times and the only way is up for this promising youngster who was nominated for the Rising Star award in round 22. 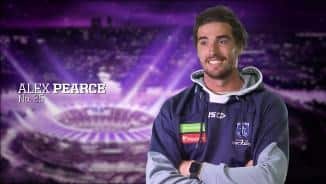 His brilliant run, several bounces and goal in the first quarter of the Elimination Final against Hawthorn will live long in the memories of Freo fans.